One of the issues is that we tend to base everything on our own anecdotal experiences. When we do something and something bad happens to us, our fears are reinforced, and when nothing bad happens, they slowly diminish. But we do not weigh all things equally. Fear strengthens memory, and we give more consideration to the time something bad happened to us, than to all of the other times it did not. Because of this, we are not particularly good at assessing risk accurately, especially if we are assessing the risk of something we fear happening, versus something we do not. For example, statistically most people in the United States are roughly four times as likely to die from a fall or an automobile accident, than from a homicide. Statistically they’re twice as likely to kill themselves with a gun, on purpose, than to be shot by someone else on purpose. But most people would consider being attacked by a stranger more of a risk than driving to work or walking down the stairs. This is because of ‘fear extinction’ or acclamation; repeated exposure to similar situations, without something bad happening, reduces fear. It does not, however, reduce risk. 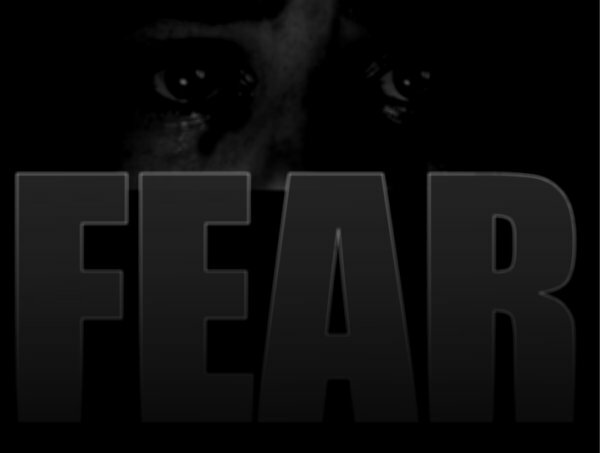 Reducing fear through desensitization and acclamation can be useful under certain circumstances: such as when treating phobias or post-traumatic stress disorder, or when training to deal with high stress situations, such as emergencies or combat. Under other circumstances desensitization to hazards can be detrimental, even deadly, since it often leads to apathy and complacency, causing one to ‘let their guard down’. Fear is an illusion, but danger is real. It is important to realize that it is impossible to remove all risk entirely. Every moment of every day we are at some small risk of something detrimental happening to us. We could be in a car crash, get a deadly infection from a scratch, or just trip and fall, hitting our head on the coffee table. If we allowed ourselves to fixate on these small risks, we might not even get out of our chairs. But then, we’d be putting ourselves at further risk, by increasing our chance of heart attack and pulmonary embolism. The goal of risk assessment is to ensure that hazards or threats are identified and reduced to acceptable levels. We determine our acceptable level of risk based on our circumstances and the other relative hazards around us. For example, if a person is starving, the risk of illness from eating discarded food may become acceptable. Risk management is not a task to be completed and forgotten. It should be an ongoing systematic process of identification, assessment and planning, and then implementation – followed by continuous monitoring of the controls that have been put in place, to determine their effectiveness. The process is then repeated whenever a new hazard is identified. Sometimes we can identify hazards through the presence of fear, but often we cannot. This is why it is important to pay attention, and know what is going on around you. While identifying hazards, it’s important not to get tunnel vision. Once we’ve identified one serious risk, the natural tendency is to fixate on that hazard, which may leave us vulnerable to other dangers that are not as easily identified. 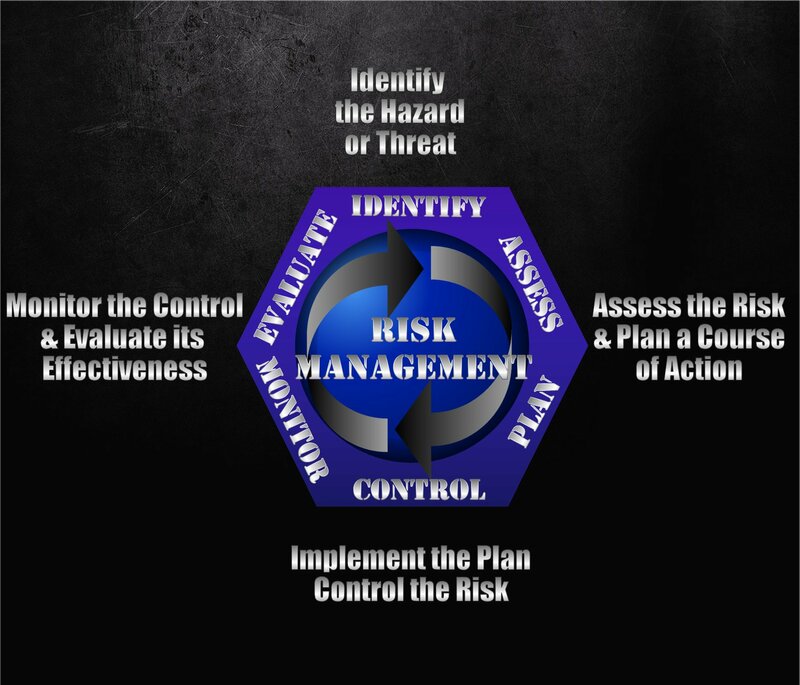 While doing a risk assessment, it is important to gather as much information as possible, and identify all of the other hazards before committing to a course of action. Once we’ve identified all of the hazards, we must assess their relative level of risk individually, by considering both the likelihood of it happening and the severity of the danger it imposes. What’s the worst that could happen? The most serious risks are ones that have the most severe consequences, and that are likely to occur. We must then control each threat, reducing the risk to within our acceptable limit. For example, let’s say we consider that automobile accidents are a risk that is both probable and potentially deadly, however due to circumstances we must drive. So we apply controls to reduce the risk of death. We decrease the likelihood of something happening by driving carefully and at a moderate speed. We require all drivers to be licensed and to undertake an exam. We also use controls to decrease the severity of an accident if it does occur, like crumple zones, seat belts and air bags. After implementing controls we must then monitor the hazard, and evaluate the effectiveness of our controls. If the risk is still above our threshold, we try to implement additional controls to reduce it to a manageable level. In the event of an emergency, you cannot allow fear and panic to take-hold and guide your actions. It is important to critically evaluate your situation by identifying all of the risks, and weigh them against each other, before planning a course of action.